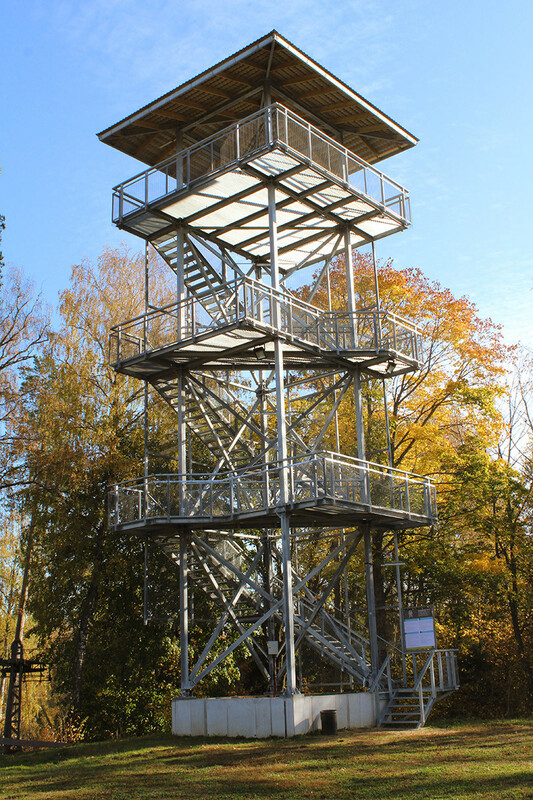 Riekstukalns is located close to Riga and offers wide range of trails. They will be suitable not only of a beginner or a lover of slow peaceful ride but also of an experienced skier or snowboarder. Have a look at our offers here at Riekstukalns and choose what’s best for you! The Main Track is for very fast riders. Throughout the track you’ll find steep slopes alternating with flatter sections, which together will give you a pleasant illusion of flying. To get to the track, you can use the 1st, 2nd or 3rd ski lift. This is the sportiest of all our tracks. It is just perfect for those who love really fast ride and feel confident about their skills. The steep upper section of the track ensures good start for a breath taking downhill ride. This is one of the most exciting tracks at Riekstukalns. Mostly it is suitable for those who like to add a little adventure to their skiing and snowboarding experiences. It is complemented with jumps and turns and depending on the speed each time you will get different experience. In this slope be careful – there must be 30 meter distance between you and a rider before you! There are two choices to make in this track: you can choose to ride slowly and smoothly down a 350-meter long track, which will require some effort only in the upper section, but if you want some adrenalin on the right side of the slope you can also do some jumps. This track is for those who feel that the Beginner Track has become too easy for them. The Hobby Track has several steeper sections which are perfect for everyone trying to improve their skiing or snowboarding skills. This track is great for learning skiing and snowboarding. Our Beginner Track is sufficiently smooth, which makes the speed just right for beginners, and it is also long enough for the beginner to learn something new with each time. It takes time learning how to use ski lift, therefore ski-lift for this trail is slower than the other. It is important that your first attempt at skiing or snowboarding is not only technically right but also satisfying! If there is no one to teach you the basics of skiing or snowboarding, our instructors will be happy to assist. Craziest snowboarders will enjoy our snowpark with two rows of ramps for high and super high jumps, several hips and all kinds of fun jibs. If you don’t really feel like skiing or snowboarding, this is the right place to go down the hill on a traditional toboggan, a saucer, or any other thing you can sit on. If you don't have any sledge you can rent a snow-tube from us. Sledding Hill is loved by both kids and grown-ups therefore the older ones should be very cautious and follow the signs and security during the ride. We have assured that your trip will end softly and painlessly even if you don’t manage to brake on time. The Tunnel track is a connection between the 'old' Riekstukalns trails and pass through a tunnel under the road to the new part. Here it is important to follow all directions and signs so the pass through the tunnel is safe. This route connects the new part of the traicks with the 'old' part of Riekstukalns and ends in the tunnel. Wide, with a pleasant fall a bit steeper at the top end flattened at the end to make it easier to control the speed and safely get through the tunnel. The Arc Track offers an even terrain in the length of 250 m. The top part of the track is slightly steeper that ensures a good run-up and further down descends into a flat fall. For those who love peaceful and flat runs, the Arc Track will be the right choice to enjoy the leisure sports activities. The crest of the new hill of Riekstukalns opens a fantastic and unique view to Riga! The most convenient access to the Arc Track is by ski-lift No. 14. The Steep Track runs off the new crest of Riekstukalns and offers the fastest and sharpest runs at Riekstukalns. This track is suitable for confident and experienced skiers and snowboarders who love the thrill of adrenaline and extreme sensations. The Steep Track is accessible by ski-lift No. 15. This track is suitable for both fast and more tranquil runs. One of the widest and most interesting trails of Riekstukalns that combines different terrains including steeper sections, undulating terrain, as well as flat and even parts of the slope. To get to the crest of the hill, please use ski-lift No. 16. 1.1. Terms of the present Ski Centre’s Usage Agreement shall determine regulations for use of the slope and nearby area (hereafter “Slope”), as well as rights and obligations of its user. The Slope consists of slope area and ski lifts (see the attached slope map). 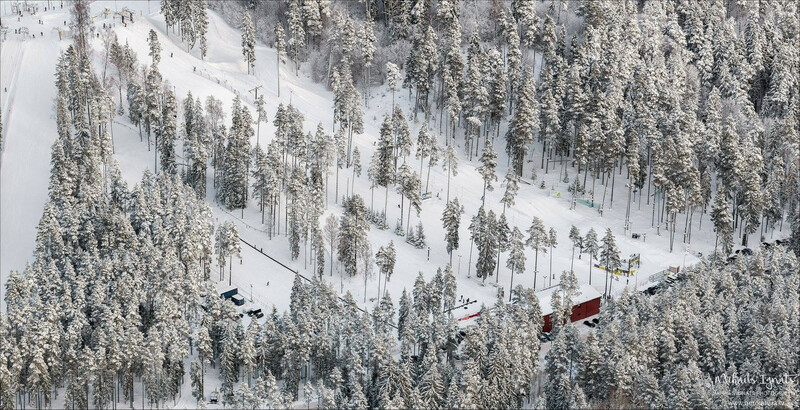 Ski slope is specially provided for downhill runs with mountain skis or a snowboard. 1.2. The present Agreement shall determine legal relations between the Slope user (hereafter “User”) and the owner (hereafter “Owner”). The Agreement shall be in force from the moment when a person purchases a ski lift and slope usage ski pass (hereafter "Ski pass") or when a person obtains the Owner’s official permission or confirmation to use the Slope. 1.3. The Owner shall give permission to the User to use the Slope in conformity with the terms of the present Agreement only. 1.4. The Slope shall be used only by persons with a valid Ski pass purchased or received in booking-office or from personnel of the Centre. A person shall not have a right to use the Slope if he/she has not received the Owner’s permission or does not have a valid Ski pass to use the Slope. 1.5. The present terms shall not be considered as the Owner’s offer. Person’s activity to purchase a Ski pass from the Owner or its authorized person shall be considered as an offer from a person to enter into agreement on these terms. Issue of a Ski pass by the Owner or its authorized person shall be considered as an acceptance. The Owner or its authorized person shall have no obligation to accept the offer. Neither these terms nor other conditions can be considered as guarantee or confirmation that the offer expressed by a person will be accepted. 1.6. Obligations of the User and rights of the Owner stipulated in this Agreement shall be legally binding also upon persons who actually use the Slope without Ski pass or void Ski pass, or use it before or after Ski pass validity time. In case a person uses the Slope, it shall be considered that he/she has accepted the terms of the present Agreement and approved them as legally binding. 1.7. The Slope can be used by 12 years old or older persons only. Persons under 12 years of age shall be allowed to use the Slope under direct supervision of adults only. 1.8. Neither leashed nor muzzled dogs and other animals shall be allowed on the Slope. 2.1. A person shall be considered as the User and the Agreement shall be legally binding upon him/her from the moment when he/she purchases a Ski pass. 2.2. The User shall have rights to use the Slope during the validity period of the present Agreement only. 2.3. The validity period of the Agreement and accordingly right to use the Slope shall be terminated when time or number of downhill runs indicated on the Ski pass are over. 2.4. The validity period of the Agreement and accordingly right to use the Slope shall be terminated if the person’s Ski pass is cancelled due to ignoring the terms of the Agreement. 3.1. The present Agreement shall entitle the User to use the Slope for downhill skiing with mountain skis or snowboard which are equipped with special bindings (fastenings) (hereafter “Equipment”). 3.2. In order to prevent any risks of causing any damages by the User to him/herself or other users, it will be allowed to use only Equipment in sound technical condition on the Slope. The User shall check the technical condition of his/her Equipment. In case the User has any doubts or has no information about the technical condition of his/her Equipment, he/she shall seek for specialists’ consultation/advice in Equipment rental store of the Slope. 3.3. A snowboard shall be equipped with a safety strap which is fixed to the snowboard binding and the User’s foot. Both snowboard and ski bindings shall be equipped with brakes in order to prevent accidental snowboard or skis downhill sliding which may cause damages or injuries to other users. Ski poles shall be equipped with baskets. 3.4. The terms of the present Agreement shall be legally binding upon all users who use their own or third party’s Equipment, or hired it from the Owner. 3.5. Usage of sledges, films, distance skis and the like, as well as other downhill equipment shall be prohibited on the Slope except the equipment mentioned in paragraph 3.1. 4.1. The User shall have rights to use only the part of downhill area (hereafter “Slope downhill area”) which is at a safe and reasonable distance from ski lift trail or area which is respectively outlined and/or marked off from the ski lift trail. 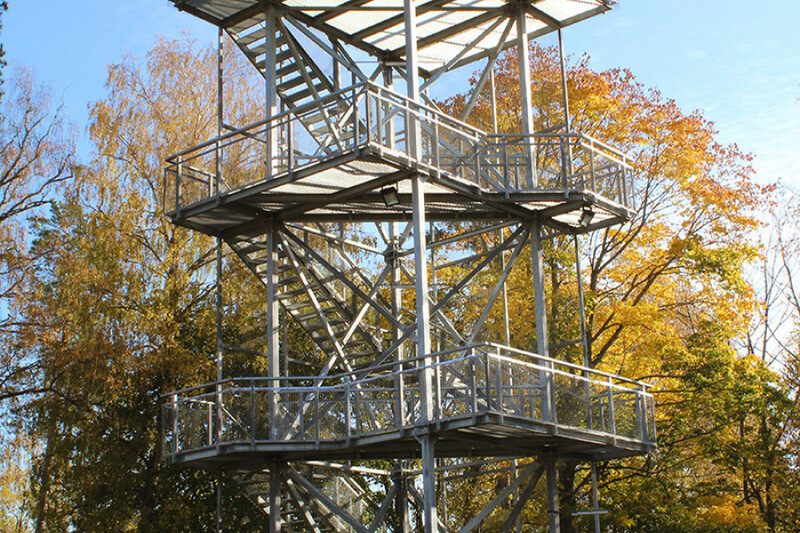 The Ski lift trail is a theoretical line along which users go uphill using the ski lift. 4.2. The User shall comply with the terms of the Agreement, observe signs and indications on the Slope related with its usage and Equipment. Similarly, the User shall comply with requests or indications regarding the Slope, its usage and Equipment, expressed by the personnel wearing special uniforms or marked with special marking(s) (hereafter “Slope personnel”). 4.3. Users intoxicated by alcohol, drugs or psychotropic substances shall be prohibited to use the Slope. 4.4. The User shall use only Equipment which is in sound technical condition on the Slope. The User shall make certain that Equipment is in sound technical condition before each downhill run. 4.5. It shall be prohibited to walk on the Slope and ski lift working areas. In case the User is forced to walk in the Slope downhill area in order to pick up fallen part(s) of Equipment (for example, ski which has slid down the Slope after fall) or in order to help in case of accident, the User shall walk with maximum precaution in order not to disturb other users. 4.6. 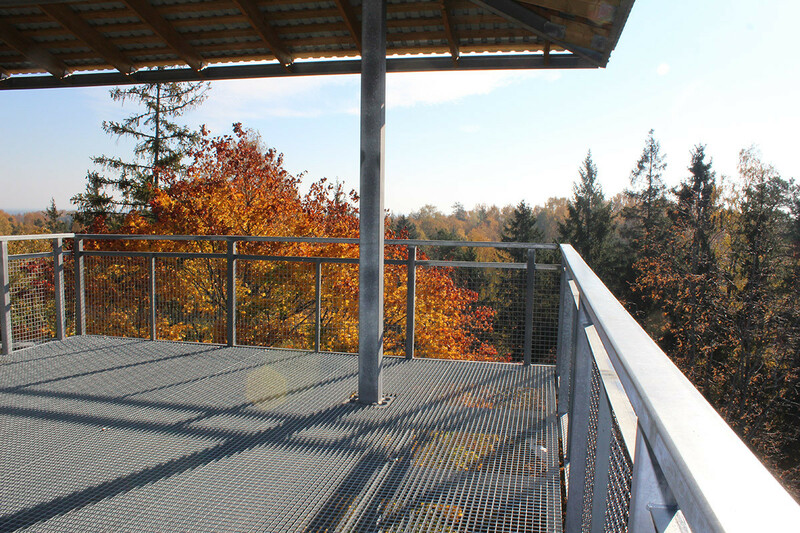 The User with Equipment in sound technical condition shall be prohibited to stand or sit in the Slope downhill area or on ski lift trail without any reason. Fall, Equipment failure, rendering of help to a casualty or other fallen user can be considered as a reason. After stopping, the User shall leave the Slope downhill area as soon as possible. 4.7. The User shall accept full responsibility of his/her health and life on the Slope, and shall be responsible for the chosen downhill run speed and manoeuvres which must not exceed his/her skills and endanger other Slope users. 4.8. The User shall waive any rights to claim and undertake not to raise either material claims or claims of other nature, as well as not to raise any claims against the Owner for bodily injuries, harm or damages (trauma, damages to Equipment, transport vehicles and the like) occurred on the Slope as a result of violation or nonobservance of the present terms. 4.9. “Snowboard Park” is a part of the Slope marked with special signs and it shall be allowed to be used by persons who are not beginners and whose skills are appropriate to the difficulty level of jumps and slides. The Snowboard Park may be used only by persons over the age of 16 who are using helmets. Personnel shall have rights to prohibit the User to use the Snowboard Park if his/her skills or downhill run manner endanger him/herself or other users. 5.1. Before downhill run, the User shall pay attention to the Slope in order to make certain that by starting a run he/she shall not endanger him/herself and other skiers. 5.2.Before every downhill run, the User shall evaluate quality and condition of the Slope snow surface, as well as make certain whether there are other persons in the Slope downhill area or not, in order to perform safe downhill run. 5.3. Before downhill run, the User shall make certain that the Slope is safe. It shall be prohibited to use the Slope if quality of snow do not correspond to safe downhill run conditions, even if ski lift is in operation. It shall be prohibited to be in the Slope downhill area during work of snow grooming machine (snowcat) or special Slope service vehicles in that area. The User shall give way to snow grooming machine (snowcat) or special Slope service vehicles. 5.4. The User may overtake other user both to the right and to the left provided that sufficient space of the Slope area is left for manoeuvres of other user. 5.5. The User shall keep his/her distance from persons ahead and avoid collisions with them. The User skiing from top shall be responsible for collision and for consequences caused by collision with a person below or ahead on downhill run. 5.6. In blind turns of the Slope, the User shall ski with speed allowing to avoid any collisions irrespective of actual conditions. 5.7. The User shall not cross the theoretical line which marks off ski lift trail from the Slope downhill area. 5.8. The User shall provide help to persons involved in accident. The User shall immediately inform the Slope personnel about any accidents and shall provide help, if required. 6.1.1. The User shall wait in queue. 6.1.2. Hooking and unhooking to ski lift shall be allowed in dedicated areas only. Unhooking shall be allowed only after a special notice from the Slope personnel. Each User shall use only one hook/handle (in case of platter/button/poma lifts). Hook/anchor ski lift (T-Bar type) shall be used by not more than two users. 6.1.3. The User without ski lift usage experience shall inform the Slope personnel at ski lift, in order they could provide help. 6.1.4. The User shall use appropriate close-fitting clothing and keep pockets and fasteners closed in order such parts of ski lift as hook, handle, anchor (hereafter “Handle/Anchor”) would not trip on clothing. 6.2.1. The User (skier) shall remove pole straps and keep poles in outer hand from ski lift. Snowboarder shall detach one foot from snowboard binding(s) (fastening(s)). 6.2.2. The User shall stand directly alongside the ski lift but not closer than 0.5 m to cable vertical line so that passing Platters/T-Bars did not touch the User. The Owner shall not pay for damages caused by Platters/T-Bars to the User’s clothing if damages have arisen from non-observance of the above. 6.2.3. The User shall grip Handle/Anchor with free hand and drag him/herself forward in moving direction. When movement is commenced: in case of “Multilift”, the User shall place handle behind back around waist line; In case of T-Bar ski lift, the User shall place handle behind back below hip line; In case of “Platter” ski lift, the User shall place handle/platter between legs. 6.3.1. The User shall direct skis or snowboard in uphill movement direction. 6.3.2. When moving uphill, the User shall move straight along uphill trail, shall not perform turnings and zig-zag (corkscrew) movements. In case of fall, the User shall leave the ski lift trail as soon as possible. 6.3.3. The User shall not release Handle/Anchor directly before ski lift support/pier. 6.4.1. In order to avoid trauma (bodily injuries), as well as damage to the User and his/her clothing, before unhooking, the User shall make certain that Handle/Anchor has not tripped on clothing or Equipment. 6.4.2. The User shall move away from Handle/Anchor when skis are on flat horizontal surface only. 6.4.3. The User shall immediately leave unhooking area towards the closest slope in order to avoid possible trauma caused by the next user’s Handle/Anchor. 6.4.4. After unhooking, the User shall not drag Handle/Anchor aside or do other actions which may cause ski lift cable break loose or other damage. 6.4.5. In case ski lift causes threat to any Slope user, the User shall switch off the ski lift by pressing “STOP” button. 7.1. The User shall be responsible for harm and damages caused to third persons or the Owner by using the Slope. 7.2. Slope personnel shall be entitled to cancel the User’s Ski pass and prohibit to use the Slope if he/she ignores the terms of this Agreement. 7.3. The User shall be responsible for harm and damages caused to third persons and the Owner by ignoring the terms of ski lift usage. 7.4. In case of loss of Ski pass, the User shall have no rights to renew it. 7.5. The User shall have no rights to request to exchange Ski pass for money if Ski pass is valid and the User is dissatisfied with the Slope surface condition, weather or any other conditions. 8.1. The Owner shall not take responsibility for accidents or damages caused by violating the terms of this Agreement. 8.2. The Owner shall not take responsibility for damages or theft of equipment, transport vehicle or other personal belongings. 8.3. The Owner shall not be responsible for harm or damages caused in connection with misuse of ski lift or nonobservance of safety rules. 9.1. The Owner shall have rights to prohibit a person to use the Slope if he/she does not have Ski pass or it is void or cancelled. The Owner shall have rights to evict such persons from the Slope. 9.2. By this Agreement, the User and a person upon whom this Agreement is legally binding, agree that the Owner or its authorized person shall have rights to collect, record and distribute personal data of the User and a person in accordance with the terms of this Agreement. In case a person has used the Slope without the Owner’s consent or ignoring the Owner’s prohibition to use it, or if a person has used a forged ski pass, as well as in cases when the Owner or its authorized person has cancelled Ski pass due to significant violation of the terms of this Agreement, the Owner or its authorized person shall have rights to record and process personal data (photos, video and other audio and visual data records) of the User and a person upon whom this Agreement is legally binding. The Owner shall have rights to collect, register, input, keep/save personal data on text, audio and visual data carriers, as well as classify, modify, use, transmit, delete, process and hand over this data to owners of other ski centres. If you don’t have your own skiing or snowboarding equipment to go down the hill or do cross country skiing we are here to help you. - As well as ski sticks, helmets, goggles and overalls. For cross-country skiing both skate and classic skiing we offer FISCHER equipment, more than 50 pairs of skis (177 – 202 lengths) and boots (sized 37 – 47). 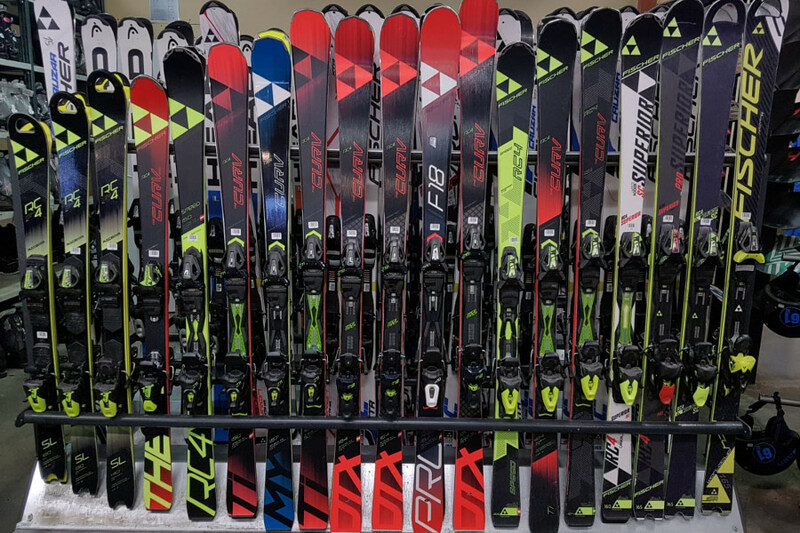 The TOP ski rent will always provide you with the newest models of FISCHER skis that are suitable for demanding skiers who prefer more sporty skis. 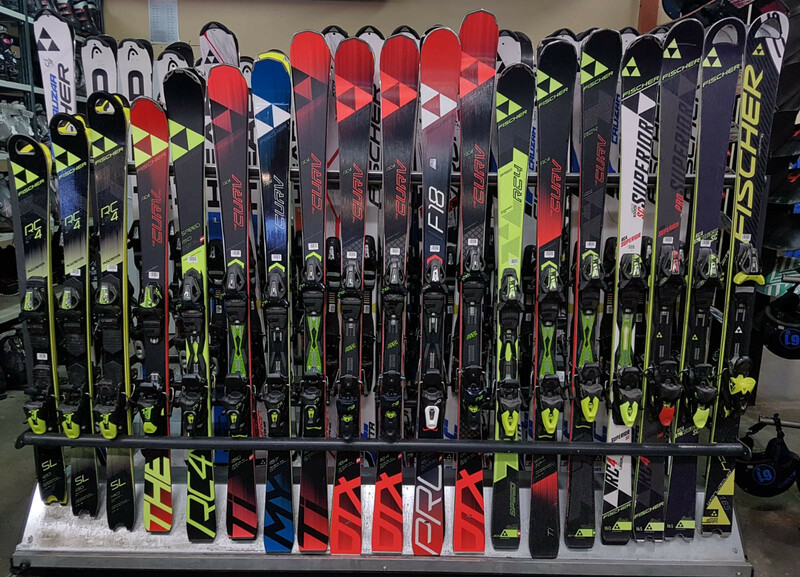 If after renting the specific pair of skis you feel like they are made for you, it is possible to buy them for particularly friendly prices. In TOP ski rental there are available top-class FISCHER skis from 120cm to 171cm. ● TheCurv DTX, TheCurv Ti, Progressor F18 and many more ski models. Please ask the ski rent staff for more details. Our instructors will be happy to teach you the basics of good skiing and snowboarding. Please, contact us prior to your arrival to arrange your lesson. Phone number for booking +371 26220000. Phone number is active one hour before resort working hours and is active till the end of the working day! Payment in cash only! We kindly ask to respect time of our instructors as well as other beginners. In case you have changed your mind or you are late for the lesson please call and cancel the arranged time. If you are more than 15 minutes late and have no called instructor has rights to arrange lesson with another person. We appreciate your understanding! Want to have fun like in your childhood? Great chance to do this by snow-tubing! There is a slope on the hill for this entertainment and if you do not have your own snow-tube, you can rent it. Try our newest winter attraction - mini bob! An easy and fun way to sledge down the hill. We remind you that the snow-tubes and mini bobs are only intended for use on the Riekstukalns Ragavinas Hill! Sticky snow, icy slope…but maybe it means that you have to wax your skies or sharp the edges of your board? You can find our service specialist by the equipment rental. Take a rest while we are taking care of your equipment and then - back to the slopes! Remember - Monday is the day off for equipement service. To make the cross country skiing run more appealing to advanced skiers there is light during the dark hours of the day. Besides we have purchased special tractor to flatten the surface for skate skiing and make the tracks for classic style skiing. In the equipment rent we also offer equipment for cross country skiing both classic and skate skiing styles. We offer more than 50 pairs of FISCHER skies (177 – 202 cm lengths) and boots (sized 37 – 47). Enjoy a meal or hot drink in the "Riekstu krogs" - a wonderful cosy little bar with the beautiful view of the Riekstukalns. You are welcome to relax and feel perfectly in a warm and cosy atmosphere. There will always be something new to try in our menu.